Bridgewater-Raynham senior Hannah Kramer has qualified for the Division 1 state meet in seven events. At Bridgewater-Raynham Regional, the name Kramer has become synomous with a pool of resources, and talent. 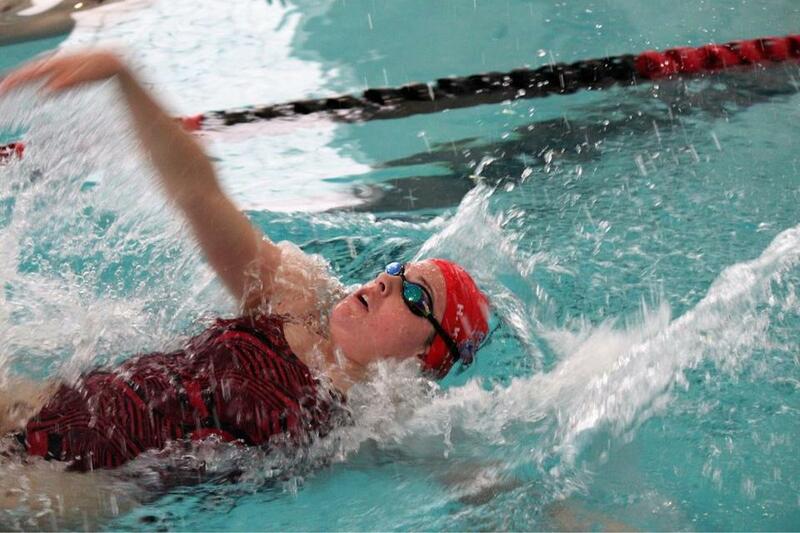 In B-R’s opening swim meet against Old Rochester in early December, coach Brian Burke slotted Megan Kramer, a 14-year-old freshman, for the longest and most arduous race, the 500-yard freestyle. It is an event normally reserved for the older and more experienced at a higher level. But Kramer, like her older siblings previously, has shown much promise in her first year on the varsity. From the beep, Kramer shot out ahead of her field, finishing first with a 5:06.68 time — breaking both the school and Bay Colony Conference record. She set another new B-R mark in the 100-yard breaststroke (1:10.23) — qualifying in both meets for the state finals — and established her name, not just Kramer, but Megan Kramer, as a swimmer to watch. She is well on her way to extending the Kramer legacy. “I’m trying to continue it, and be the leader,” she said. Her older brother, Nathan, now a 19-year-old freshman on the men’s swim team at Holy Cross, put together an undefeated senior season last winter before placing third in the 200 individual medley (1:56.82) at the state meet. He was a two-time captain and three-time Bay Colony All-Star. Hannah Kramer, 17, put on the crimson Bridgewater-Raynham cap a year after Nathan and proved to be as finessed in the lane as her older brother. This season, she has helped propel the Trojans to an 8-1 record, dropping just one race, the 100 butterfly on Jan. 18 against Brockton. Hannah registered three Top 25 finishes at last year’s D1 state meet, in the 200 freestyle (8th), 100 backstroke (10th), and 200 freestyle relay (23rd). As a senior, she has continued to cruise. Since that first meet, Megan has claimed cut times for sectionals and states beyond the 500 freestyle — in the 100 breaststroke, the 200 individual medley, and the 100 butterfly as well. Against Norton on Jan. 9, Kramer headlined the 200 IM by setting another school record (2:17.18). At the same meet, Hannah set a new mark in the 100 freestyle (55.51). If a certain movie title (circa 1979) comes to mind, wash it away. There’s no sibling rivalry among the Kramers; in fact, Hannah says, nothing makes her more excited than to know her sister is flying. “It’s exciting to watch her make states,” she said of her younger sister. Burke stacks the sisters whenever he can in his relays because the pair are kindling for his team’s fire. The three Kramers have spent more time in the water than out for most of their youth, beginning at the Boys & Girls Club of Taunton. Their work in the pool continued at Bluefish Swimming, in Raynham. Once they made the move, around the time that Megan was 7, a coach made an astute observation to her father. “‘Your younger [daughter] has something that’s special,’ ” recalled Mike Kramer. 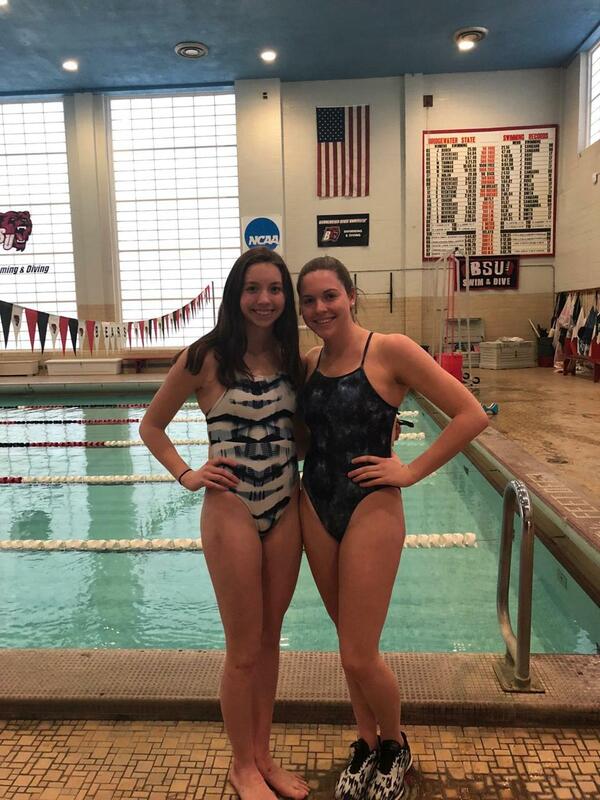 Hannah and Megan now train six days a week — afternoons at the high school pool and the latter with their club team. For a love of swimming that consumes their days, losing it, even briefly, can be startling. After her thunderous debut in the 500 freestyle, Megan broke a bone in her foot after slipping in her driveway. She was sidelined for two weeks. “When I came back, it felt different. After taking that much time off, it didn’t feel the same being in the water,” she said. She returned with flying colors, as if she’d never left — in the matchup against Norton, a record-setting day. Megan and Hannah eclipsed the mark in the 400 free relay in the regular-season finale against Nauset. And now, the pair are focused on the Bay Colony championship, scheduled for Saturday in Sandwich. Megan and Hannah Kramer led the Bridgewater-Raynham girls’ swim team to an 8-1 record during the regular season.